There were question marks over TPG Telecom’s plans here after it announced a US$11 billion merger with Vodafone Hutchinson Australia in August, which includes plans to spin off the Singapore operations. SINGAPORE: After months of silence and as the deadline to roll out nationwide outdoor mobile service coverage here loomed large, Singapore’s fourth telco TPG Telecom finally showed more of its intentions for this market. In a press release on Friday (Dec 21), TPG said it will offer free mobile service for a year to the first 20,000 who register their interest with the telco. The SIM-only plan includes unlimited data and unlimited mobile-to-mobile calls, it added. However, data at 4G speeds are capped at 2GB, after which it will be capped at 1Mbps on a daily basis. There will also be 20 local SMS messages and 20 minutes of outgoing calls to local fixed lines each month, it added. Mobile calls require a voice over LTE (VoLTE) capable handset compatible with its mobile network, and devices like Huawei’s Nova 3i, P20 and Mate 20 as well as Samsung’s Galaxy S9 and S9+ are supported, TPG said. The successful applicants will be provided with a newly allocated number as mobile number porting is currently being certified and will be made available after the trial, the company said. It added the trial plan comes with no lock-in contract and customers will be notified of the standard monthly charge at least two months before the end of the 12-month free trial period. The press release did not state if this free mobile service replaces or complements its March announcement that it plans to offer free 24-month data plan to elderly at launch. 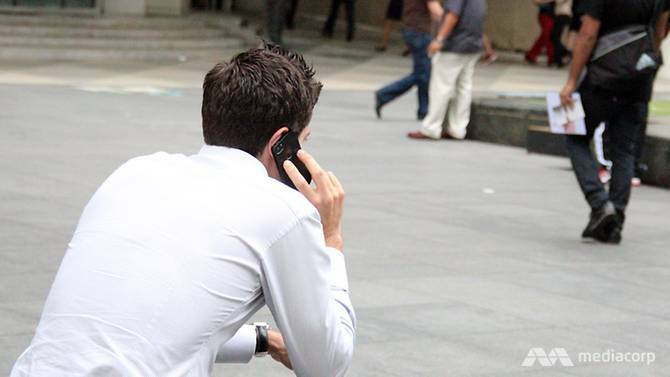 But replying to Channel NewsAsia’s queries, TPG said it aims to improve on the plan and will soon release it when it is able to port mobile numbers along with improved voice calling support across a wider spectrum of devices that are commonly used by senior citizens. “Through this service trial, we hope to seek public feedback as we optimize our network and service offerings through our unique Community Forum. The trial plan announced is tailored to encourage active usage of our network and we hope to eventually extend the incredible benefits and value when we launch full commercial services,” said executive chairman David Teoh in the release. It did not reply to Channel NewsAsia’s queries on these issues previously. On TPG’s latest announcement, a spokesperson from regulator Info-communications Media Development Authority (IMDA) said it is encouraged to see the telco embark on a trial to test and gauge consumer feedback ahead of its full-service launch. This, in turn, will give consumers a wider choice of telecommunication services, the spokesperson added. Those interested to participate in the trial can register their interest at www.tpgtelecom.com.sg. Posted in Blog, News and tagged #Huawei, #Singapore, Australia, Channel NewsAsia, Galaxy S9, Hutchinson, Mate20, nova 3i, P20, plan, register, register their interest, S9+, senior citizen, sim-only, Telco, Telecom, TPG, Vodafone.